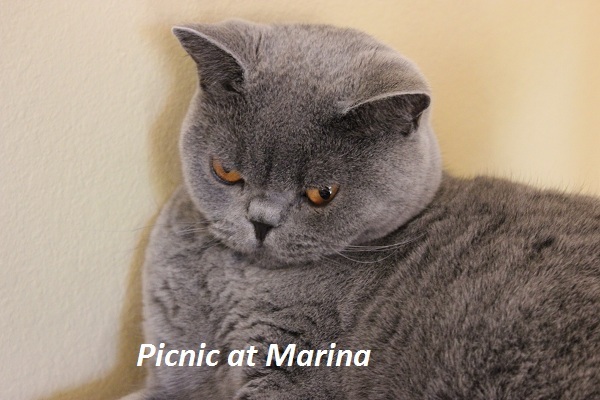 Marina, is this your cat? Its gorgeous! Its fir looks so thick. Hi Gardenglut, Thanks for commenting! :) No, this is my friend's cat that I was "babysitting" or cat sitting (http://www.picnicatmarina.com/2012/05/babysitting.html). Hehe I just adore your kitty cat Marina!! Not need for words when you've got eyes like that. Nice picture! Our cat hates "sitting" for the camera - we have to catch him off guard. I have lots of pictures of his tail, as he flees the camera! when you post something so adorable there is not much to write. SOOoo cute!! My daughter and I both have a cat that has the same color and fur texture as yours. I call them my little fuzz balls, since they are so extremely soft! Thanks for stopping by my blog too; hope you have a great week! very cute-))) I love cats!! !